Rent-to-Own In-Stock Buildings for Only One Month Down through April 15! DuraStor Structures is family owned and operated by the Strite family in the Dublin- Wrightsville Ga area. Durrel and his wife Jenny are very family focused and have two sons and foster children. Durrel was raised building storage buildings. He remembers buying the first supplies and helping his dad paint his first building in 1996 and then riding along on the deliveries. Durrel eventually was working in manufacturing, sales and deliveries in the family company (Quality Storage Buildings in Itasca, Tx), gaining experience in all fields of the company. He noticed how quality products and excellent customer service will create excellence and set a company apart. When Durrel and his wife relocated closer to her family in 2013. He worked for a contractor for a little over a year. It wasn’t long until Durrel was getting calls about building storage buildings again. In 2015 DuraStor Structures was founded and the first supplies were purchased. Durrel took his experience and started building storage buildings again. We are a faith-based company and we give God glory in every aspect of our company. We uphold strong Christian values of honesty and integrity, and believe that our workmanship and ethics should reflect the God we serve. We are passionate about providing excellent products, awesome customer service, and making a difference in our local communities. 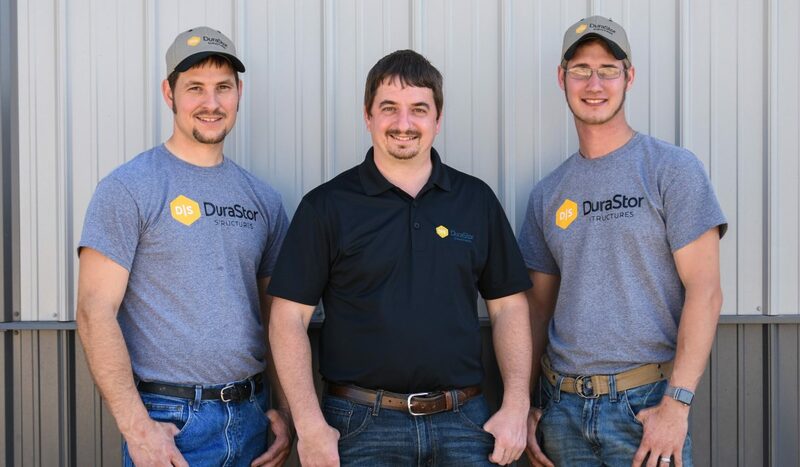 We are continually growing and are thankful for our awesome employees who help us accomplish our goals and for each and every customer who makes DuraStor Structures a reality. Design Your Own Shed or Get It Pre-Built!